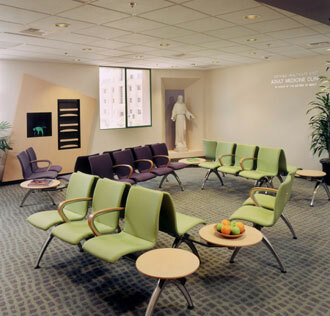 Description: Jain Malkin Inc. created a comfortable, relaxing environment for patients of this medical office in La Jolla, Calif. specializing in assisted reproductive technology. The design employed graceful curves in the ceiling and floor, soft sculptural forms and a soothing color palette. Using Atlas Carpet’s Positano, constructed of DuPont Antron® Legacy nylon, the carpet offers a soft residential appearance with the durability and maintenance characteristics demanded in a medical office.